Diese Ersatzgabeln passen zu den WMF Fondues "Allegro" und "Rotonda" und in den Spritzschutz 07.9455.9993. Fondue is perfect for cosy evenings together with friends. Use WMF fondue forks to stop meat, fish and vegetables from falling into the oil – making dinner an experience in itself. A fondue is always a great idea for get-togethers, whether at Christmas, New Year or for no special reason at all. Meat, vegetables, fish and many other foods are cut into cubes, speared, and boiled or fried in hot fat or broth. It's not just about enjoying the food but also the company of your nearest and dearest. To make sure the food is not lost in the fondue pot, robust and functional fondue forks are a sensible purchase for ensuring relaxed evenings. The fondue fork is nothing like the traditional fork. It is characterised by the long handle which leads to two very sharp prongs. The two prongs diverge from each other, meaning that the food is held securely, even when it is held in the fondue pot for longer periods of time. The handles make the fondue forks easier to hold and take out, but they also serve another purpose. The fondue pot is always fitted with a splash guard with long grooves milled into it. Start by fitting the fondue forks through the large opening in the centre and then pull them into one of these grooves, where they simply remain suspended thanks to the strong grip. This prevents the fondue forks from falling down and having to be fished out of the pot, which could result in an accident. Also, the grooves enable each person to keep track of which fork they are using. Alternatively, fondue forks can also be fitted with coloured rings, enabling you to tell them apart. Fondue should be uncomplicated and fun.  That's why WMF understands the importance of creating products that have been well thought out and enable you to concentrate on a fun evening with your friends. The WMF fondue forks are the perfect addition to your fondue set. And because they are largely made from Cromargan®, they are resistant to high temperatures and moisture. The robust material feels just as much at home in the fondue pot as it does in the dishwasher. Familiarise yourself with WMF fondue forks and marvel at the wide range on offer in the online shop! A tasty fondue – a feast for the eyes but not just for special occasions! Originally the word "fondue" was used to describe a cheese dish from Switzerland. Nowadays there are various different versions, and with a classically elegant and functional fondue set the different fondue creations taste twice as good. Cheese fondue from Switzerland is the oldest variety of this dish, and in Germany it is often eaten at Christmas or New Year. Melted cheese, white wine and other ingredients are kept warm in a ceramic pot on a rechaud and pieces of white bread are dipped into the cheese. For meat or fish fondue, which are just as popular today, cookware made from stainless steel is used. As per the idea that was brought to us from Asia, hot stock is brought to the boil in the pot and mouth-sized morsels of meat and fish are cooked in the broth using special fondue forks. A vegetarian version of this dish using vegetables or a wine fondue can also be created. If you want to spoil your loved ones with something sweet, the chocolate fondue is an excellent idea, and involves dunking fruit into melted chocolate. A chocolate fountain can be used as a visual highlight and an attractive party piece as an alternative to a fondue pot. Fondue forks – ideally with marking rings in different colours, so you know which is yours. As well as the fondue itself, you need various platters and serving bowls, for example for dips and salad, and serving cutlery. Special fondue plates with individual segments for storing pieces of meat and dips are a classic favourite at the dining table. If the table needs to be laid in a classy and stylish way then you will find a wide range of plates and attractive table decorations for the perfectly laid table and a wonderful evening with friends or family. Fondue is a classic dish for large numbers of people and a second set can easily be ordered if required. As well as special cookware we offer a range of other large pots and pans as well as baking dishes or hot plates that are suitable for cooking on a larger scale. No matter how big the pots or pans are, with WMF quality cookware you too can become a masterchef!